Simplilearn PMP Review: What Is The Value Of Certification Training? / Simplilearn PMP Review: What Is The Value Of Certification Training? You might be looking for Simplilearn reviews and would like to understand the value of its PMP certification training course. I have written this article after examining, evaluating and analyzing their PMP credential training programs – both online self-learning and instructor led online. I have written about pros and cons of their programs. In this post you will find complete Simplilearn PMP review. After reading it you would know if Simplilearn PMP Certification training course a good buy or not. The Simplilearn PMP training course is designed by Jeff Allen and Tim Jerome. It is based on PMBOK Guide 6th edition. It has a good mix of elearning videos & reading material. It provides 35 PDUs / contact hours of formal project management education for taking the PMP certification test. 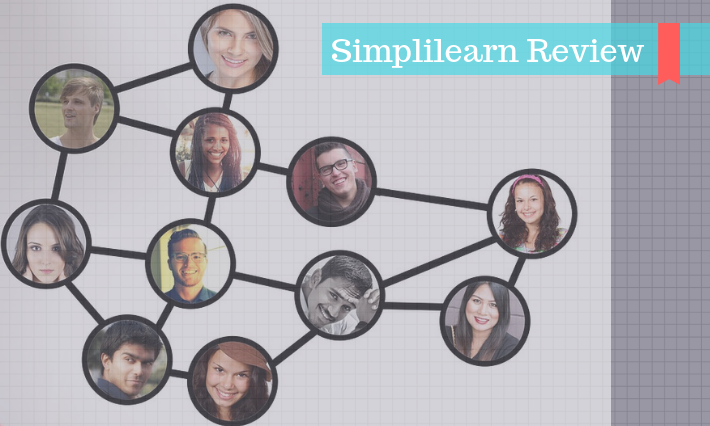 Simplilearn is a very old and established training company. It is one of the world’s leading certification training providers. It is a PMI Registered Education Provider (R.E.P.). It has various offerings that help the aspirants to attain Business, IT, and Management certifications. All the courses are designed by the experts in their respective fields. I have done a thorough and critical review of Simplilearn PMP course. I have also compared it against the other leading PMP training courses. Let us start by taking a look at its offering. Simplilearn program provides a good mix of project management knowledge and PMP exam prep material. It includes 8 industry case studies, 20 industry based scenarios, and 6 hands-on projects that help in gaining project management knowledge. It also includes PMP orientation videos, 7 simulation tests, and other exam related study material. Self-learning online– this includes 180 days access to 29 hours of videos and online eLearning content. Online classroom– this includes 90 days access to multiple batches of instructor led virtual classes and 180 days access to self-learning content. You will receive 35 contact hours certificate after completing this course. This will fulfill the mandatory educational requirement for taking the exam. It can be your first step towards the credential exam. Overall, the program design is good. But it fails to completely address many aspects of the exam preparation. Let us look at look at the pros & cons. Flexi-pass that provides access to multiple instructor led sessions. Even if you miss a session, you have the option to attend another session. The enrollment process is simple and easy. The Learning Management System (LMS) is intuitive and easy to use. It keeps track of your learning progress. The content can be accessed via Android and iOS apps. You can potentially learn at anytime and from anywhere. The videos have studio quality and are very well made. The eLearning material is designed by experts. It has all the attributes of a good self-learning training viz. decent pace, good voice quality, clarity in instruction and streamlined flow. There is complete coverage of all the exam topics. 2018 exam changes are also included. The content includes learning games and quizzes to help you regularly check & validate your knowledge. The content includes 7 Full-length mock tests, which are essential for the final exam prep. The course provides good orientation & knowledge of PM fundamentals but it does not completely focus on the PMP exam. The duration of some of the videos is less than a minute. Even though the content coverage is complete but frequent change of videos is a little bit disconcerting. The study assistance is provided through online forum by regular support staff. The videos could have been made more interesting by including some anecdotes. The pace of instruction is good but sometimes you want skim/skip over a few things. The video player does not have the feature to increase/reduce the speed of instruction. Apart from the main course advisor, Simplilearn does not share the profile of their trainers. The trainer may be completely novice. Review Rating – Is PMP Certification Training Good? Final Words – What Is The Value of PMP Simplilearn Certification Training? Simplilearn is an old & established training company. They have been providing good quality courses for almost a decade. But I would suggest you to look at other options. As per my Simplilearn PMP review, this course provides good orientation of PM Fundamentals. The program includes a flexi-pass that gives access to multiple instructor classes during 90 day period. However, on the downside the program does not completely focus on the exam prep. It is richly priced even after the discount. They do not share the credentials of their trainers. It seems as if they are hiding something. If you are looking for a self-learning program, I would suggest you to look at my comparison article on PMP Online Courses. Otherwise, if you want to do an live online course then you should read comparison of PMP Online Classroom Courses before taking the final decision. If you want to learn PM fundamentals and looking for a well designed program, then you can buy this course. It is available at special exclusive discount on this blog. If you decide against buying Simplilearn’s program, you can take their 200 Q free practice test. It will help you in passing the exam. Simplilearn logo is taken from the company website. What is your analysis of Simplilearn courses? Do you agree to my review comments? What, in your opinion, are pros and cons of Simplilearn PMP training? Disclosure: I have not received any compensation (in cash or kind) from the Authors or Simplilearn or anyone else associated with the training courses. But this article contains affiliate links – it means that, if you click & buy from these links then, I will receive a small commission. This commission helps me in maintaining this blog for free. However, you don’t pay anything extra. I do not actively use any of these products since I am already certified. But, I recommend only those products that I believe will definitely help the certification aspirants. 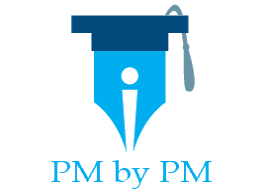 Thank you for reviewing this course , it will be of great help for Project Managers who are looking for a good training course to get PMP Certified. Your Pros and Cons system of reviewing helps in finding out what benefits the course can offer but also what disadvantages the course as which is very helpful. I want to do PMP but don’t know where to start. I got your reference from Jitesh Tripathi. I am working with him in Mphasis. I am very determined to do the course before examination changes at end of March 2018 but I need the proper guidance to achieve it. Will you be able to guide me so that I can follow just your instructions to crack this in first attempt? Let me send you a mail for this. Will simplilearn self paced is counted towards 35 hours prior to applying for exam, even if it is not instructor led ? Yes, it is counted towards 35 hours. Not all online training are considerd by PMI but Simplilearn training is valid. You can refer to my article https://www.pmbypm.com/pmp-online-training-35-contact-hours/ that specifically answers your Q.